In 2017 the export of Ukrainian goods to the EU countries increased by 30%, to $17.5 billion. This was reported by the State Statistics Service of Ukraine. Imports of goods to Ukraine increased by 21.3% to $ 20.7 billion. Negative balance of trade of Ukraine amounts to 3.2 billion dollars. Compared to 2016, it has cdecreased by $383 million. Percent of EU countries in the total foreign trade operations of Ukraine is 40.5% (export) and 41.9% (import). 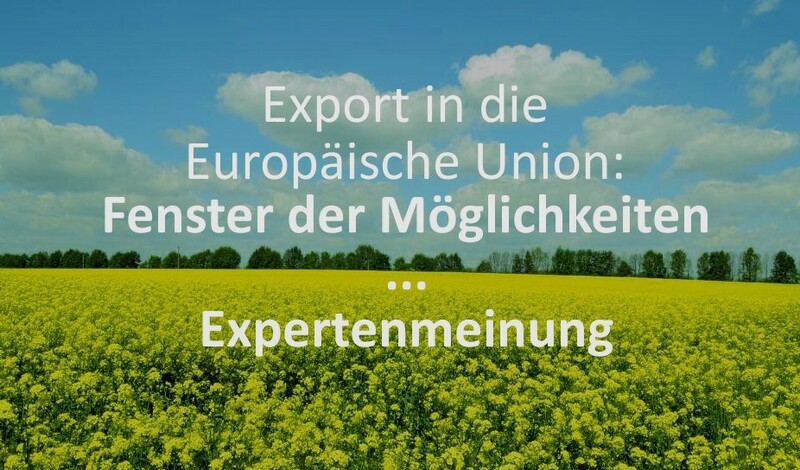 The EU mainly imported agricultural and food products, metals, mechanical and electric machines from Ukraine. The largest supplies were provided to Poland, Italy, Germany, the Netherlands, Hungary, Spain, Romania, the Czech Republic. It is worth noting that Ukraine exports food products about three times more than imports.